A Unique Design & First-Ever Size Now, for the first time, investors and collectors have a new, unique way to own silver that is part of the Perth Mint heritage but available in a unique size and design. 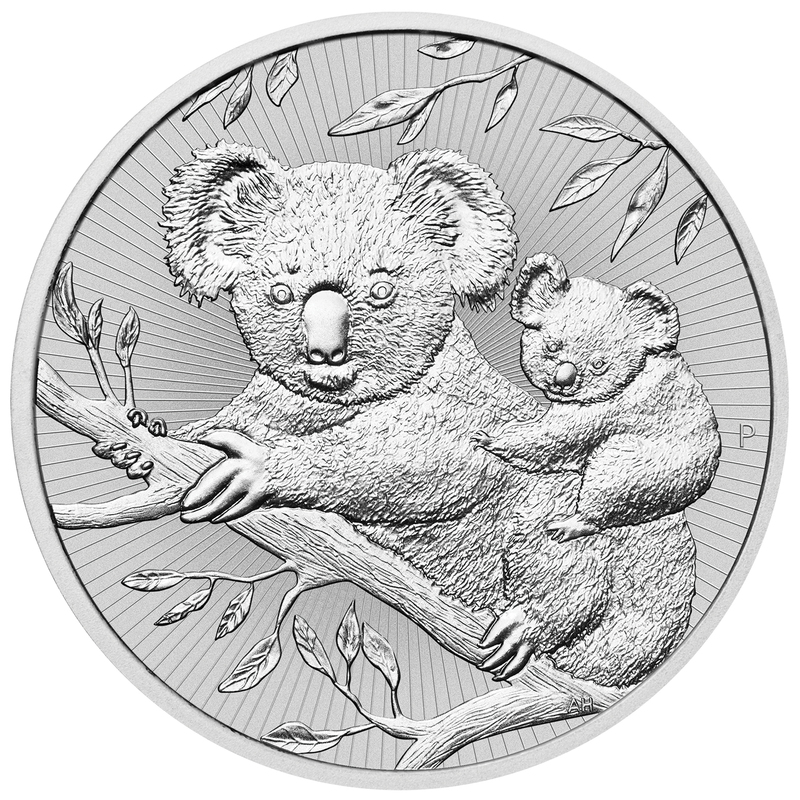 The Next Generation coins display both a mother and baby of iconic wildlife in the Australian Outback. The first issue in the series showcases a pair of koalas on the reverse, while a portrait of Queen Elizabeth II appears on the obverse. Each Next Generation coin features micro-engraved radial lines for enhanced aesthetics and security. The coins weigh two-ounces, struck as a piedfort. The word may be new to many, but peidforts have been struck for over half a millennium. During the Middle Ages, France and Great Britain minted coins of double thickness and weight for presentation purposes. The word “piedfort” literally translates to “heavy foot” in French; it alludes the coin’s extra weight and metal content. While piedforts have existed for years, this is the first time the Perth Mint has issued a silver bullion coin in this special format.